Producing to hosting shows for various internet radio stations and networks. 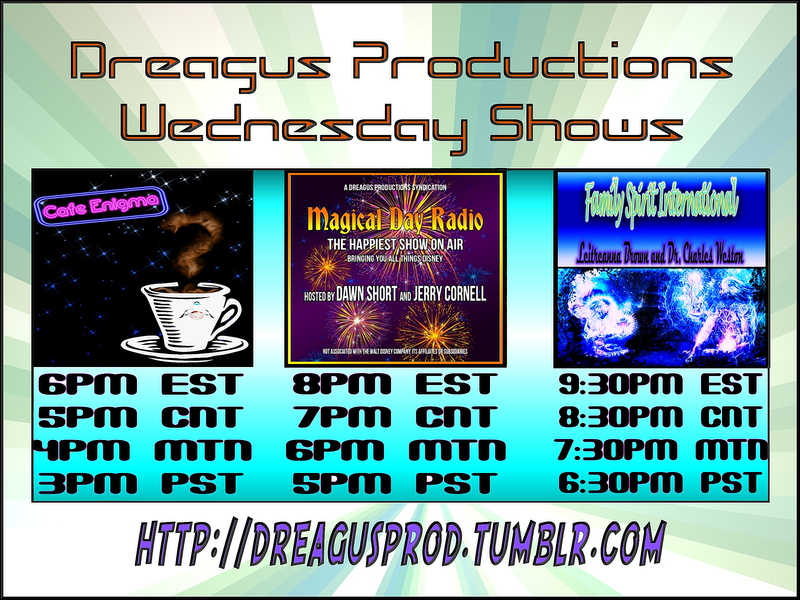 Banners and other promotional material is also created by Dreagus Productions for shows under the Dreagus Productions Umbrella. We also do internet radio station management for Pyramid One Network's Channel #2 and also WLIRadio out of Australia.